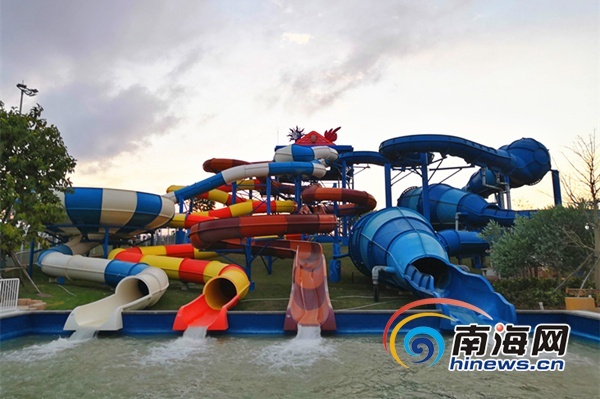 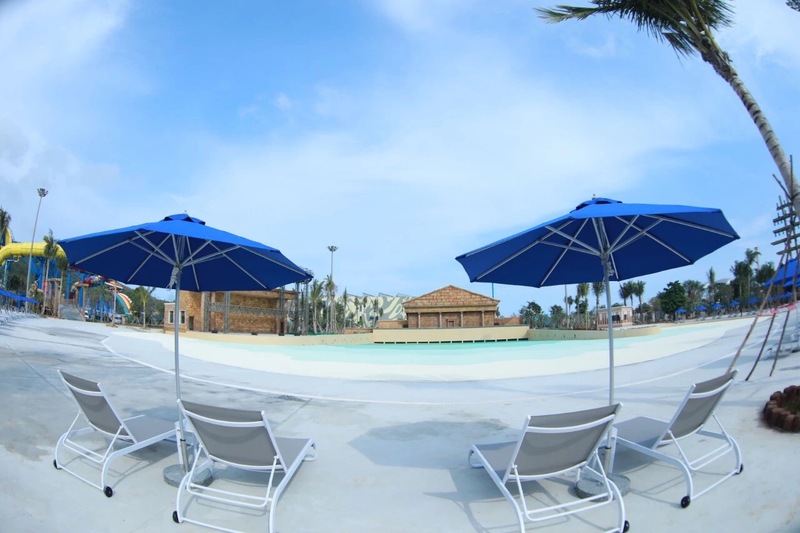 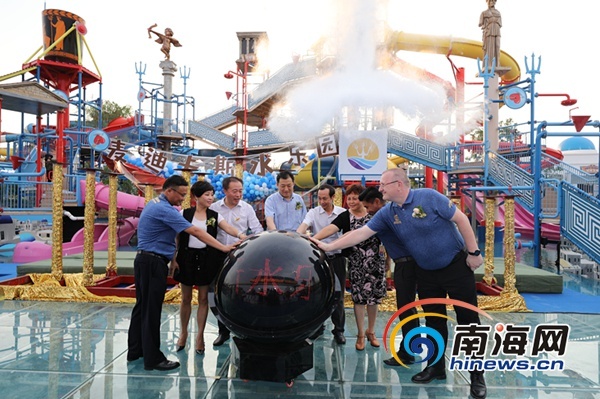 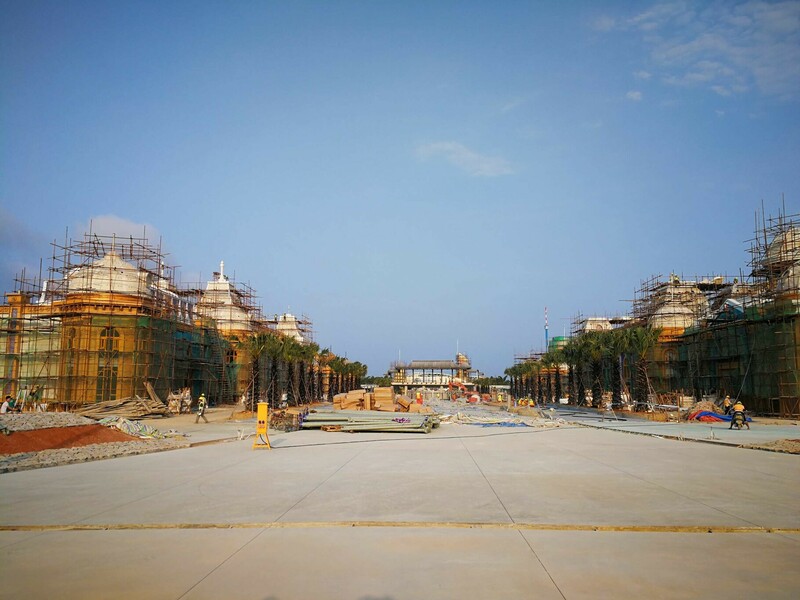 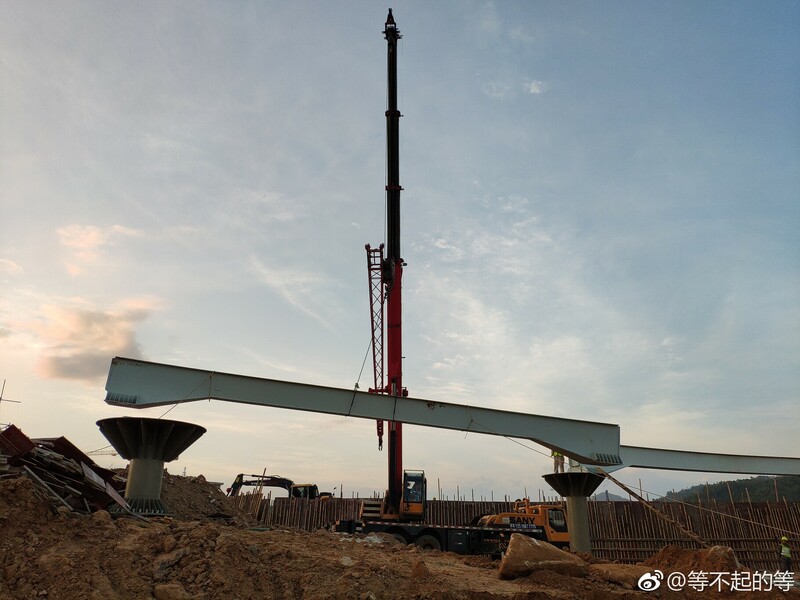 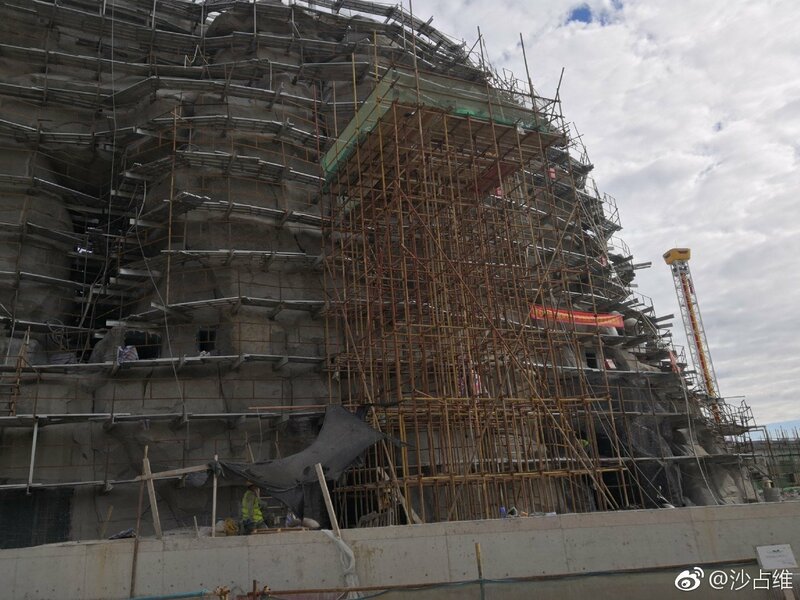 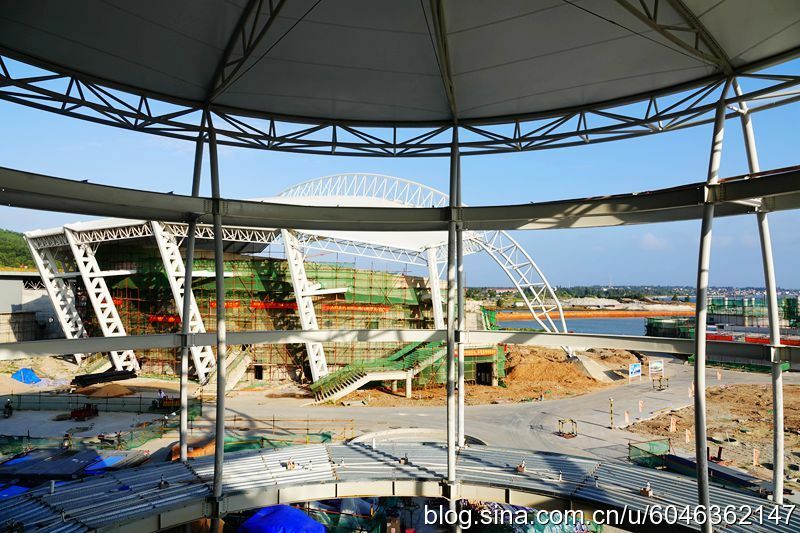 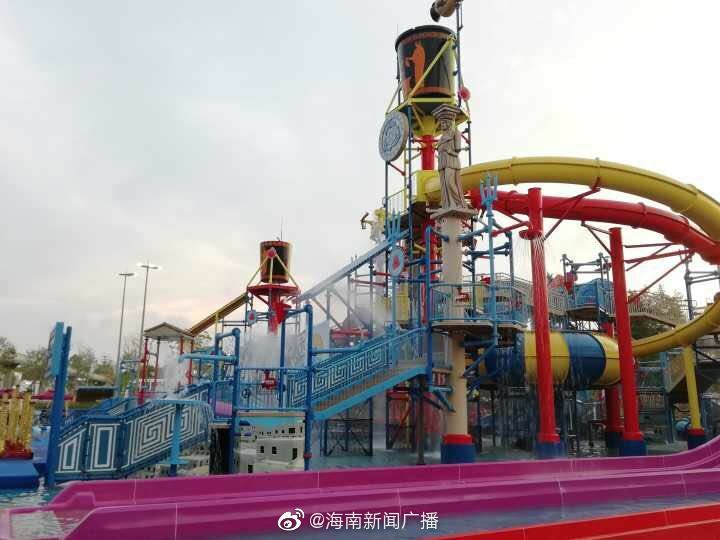 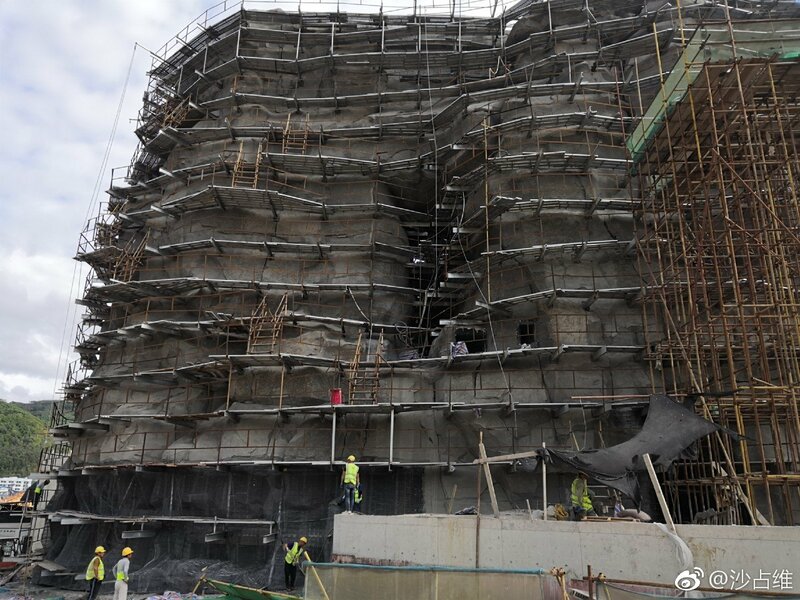 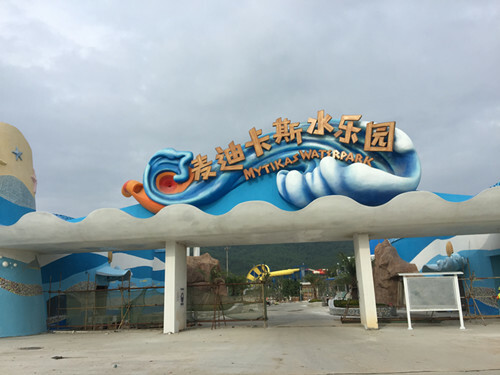 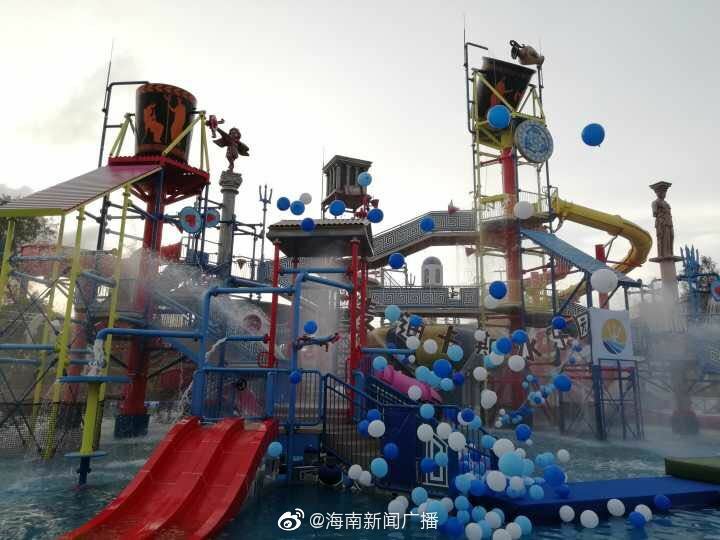 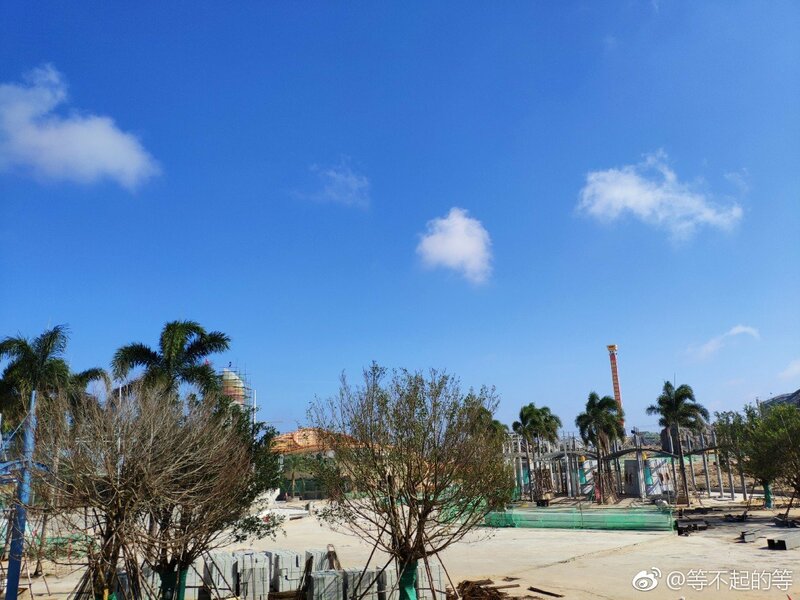 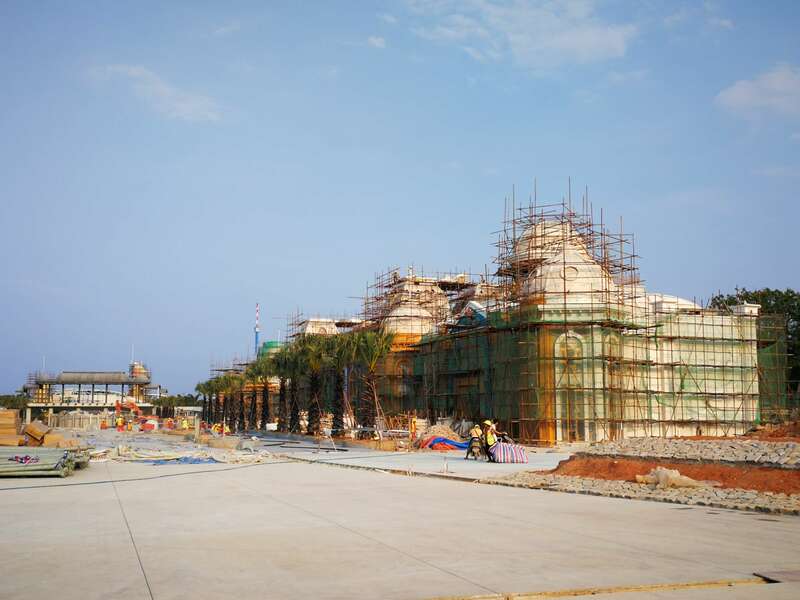 On the evening of June 15 government officials and the media were invited to a special preview event of the Mytikas Waterpark, which is almost completed. 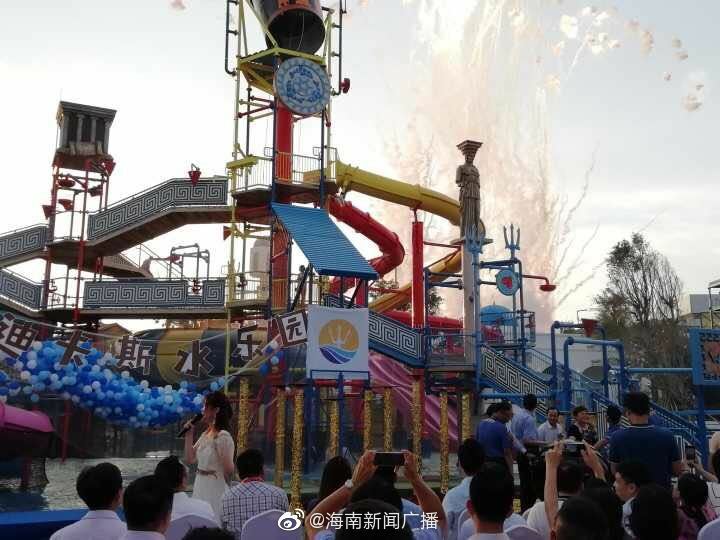 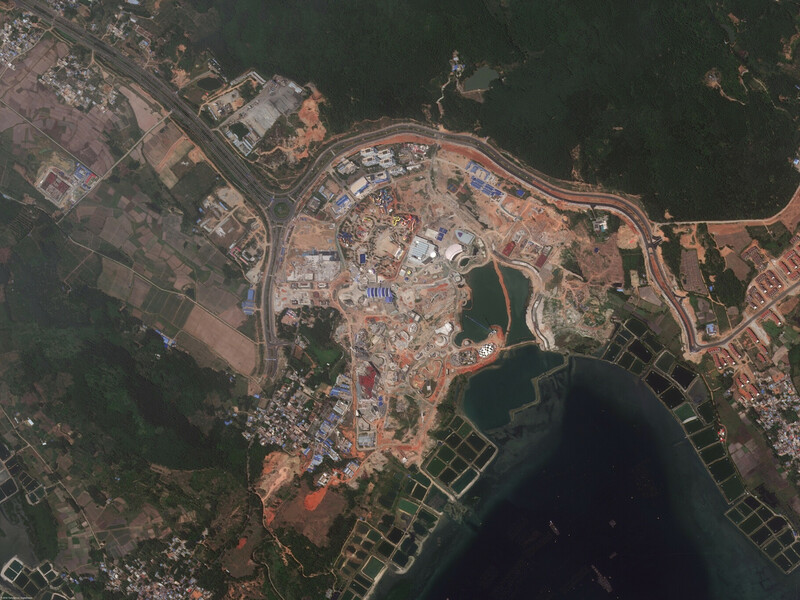 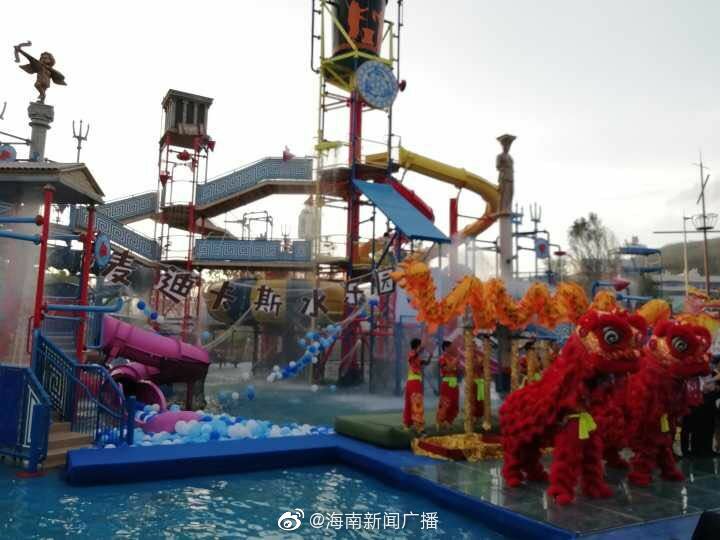 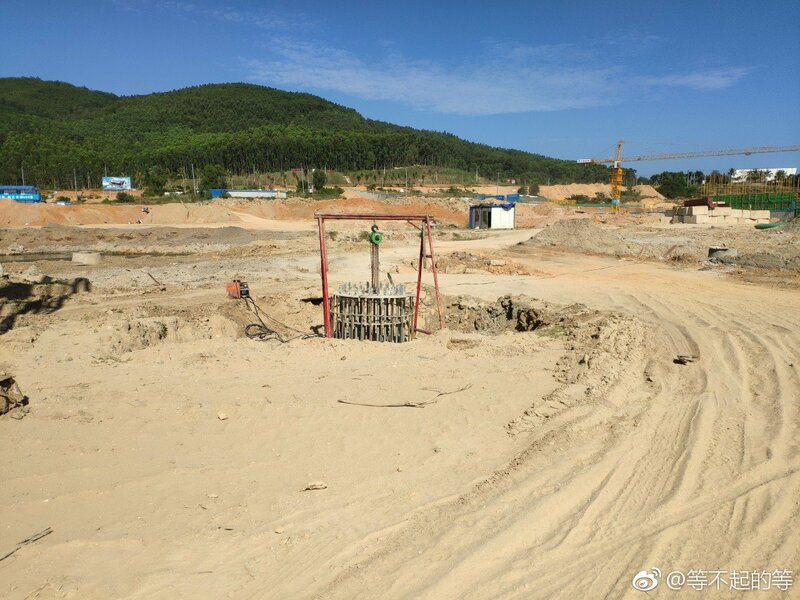 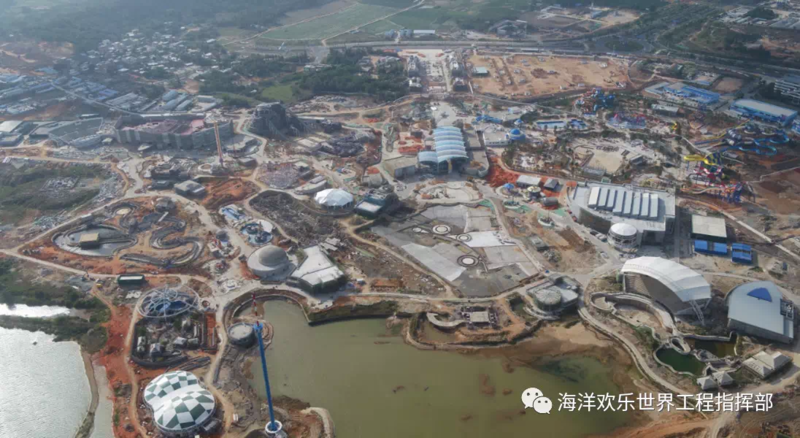 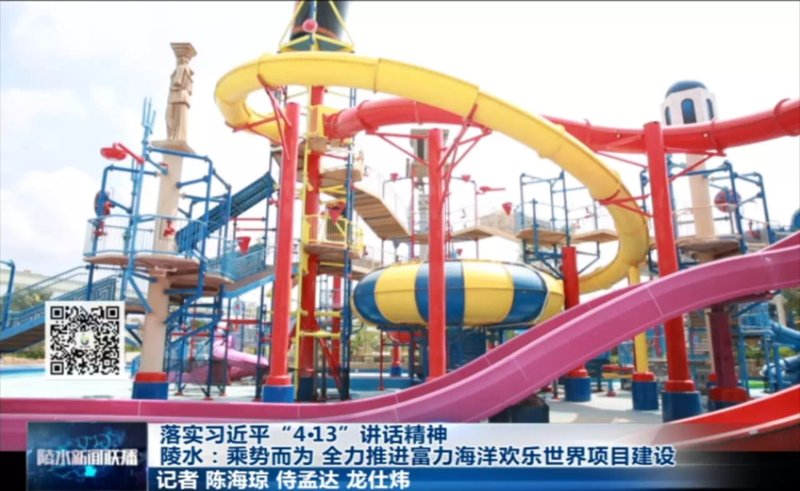 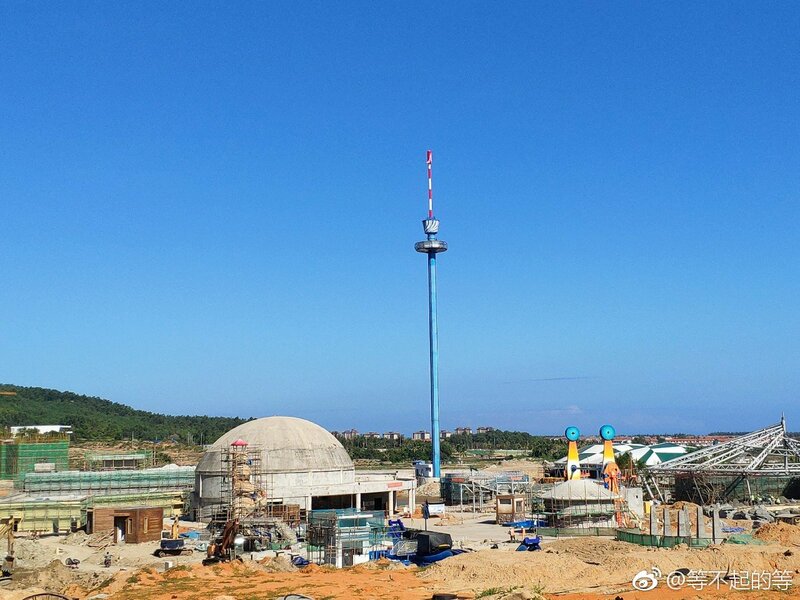 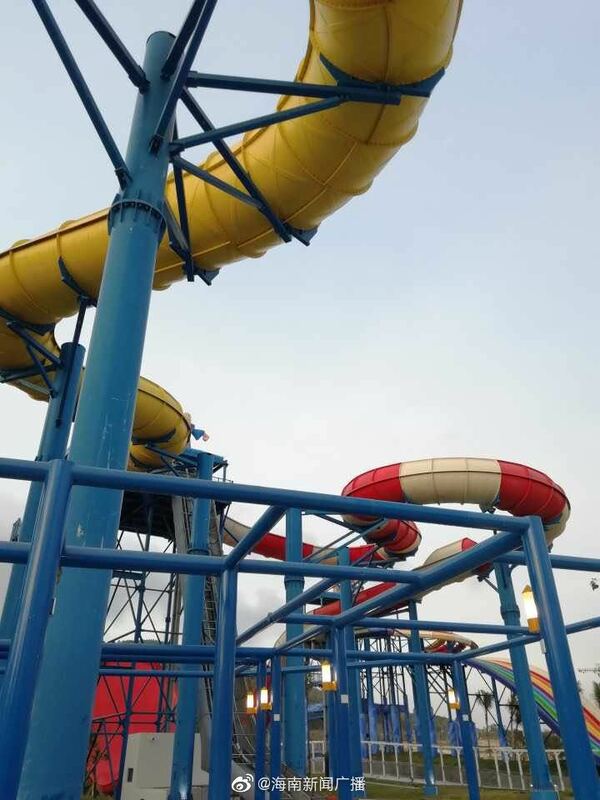 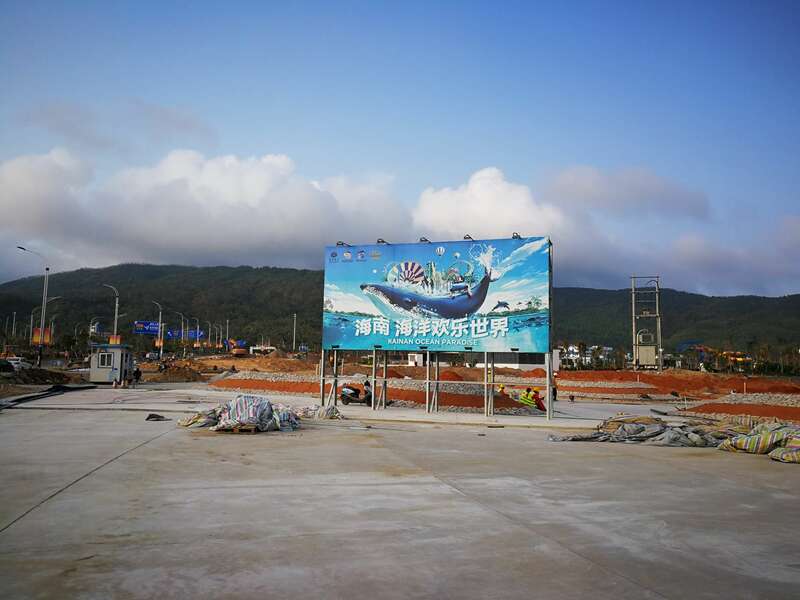 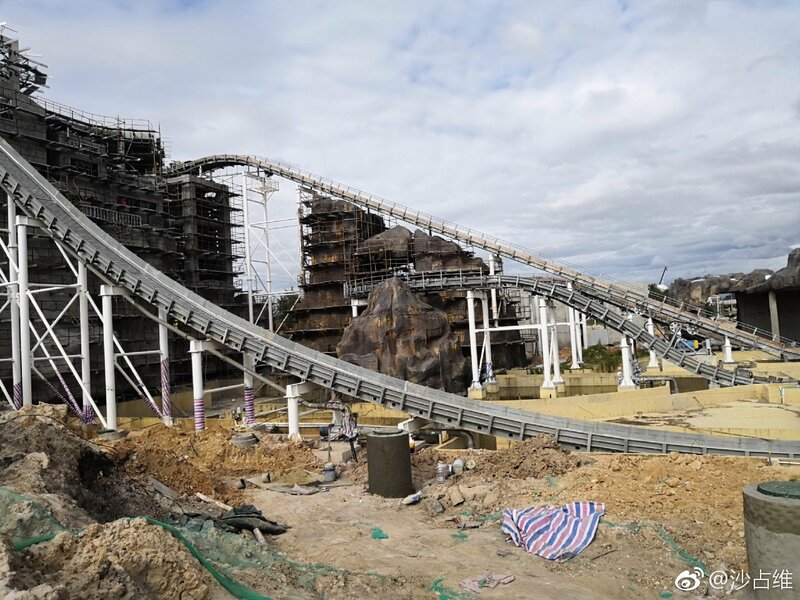 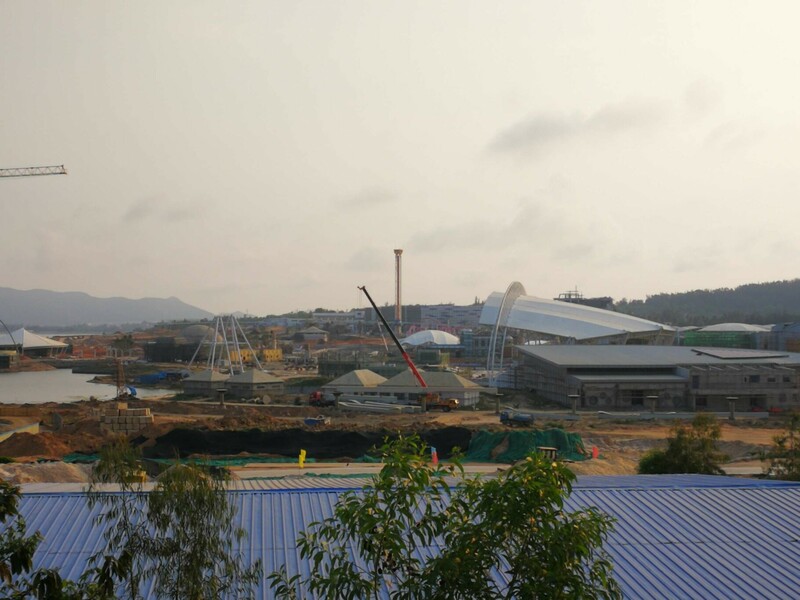 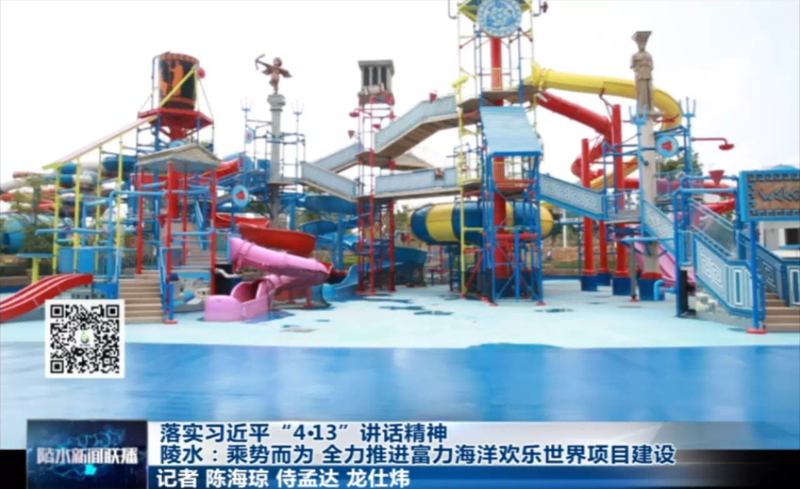 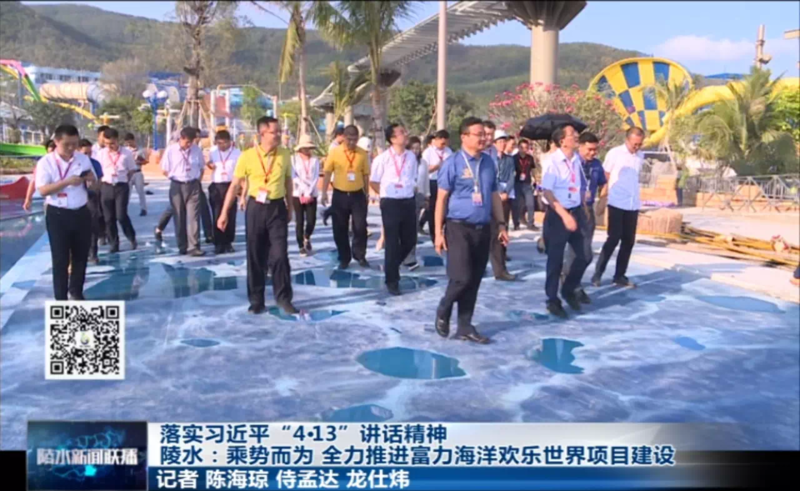 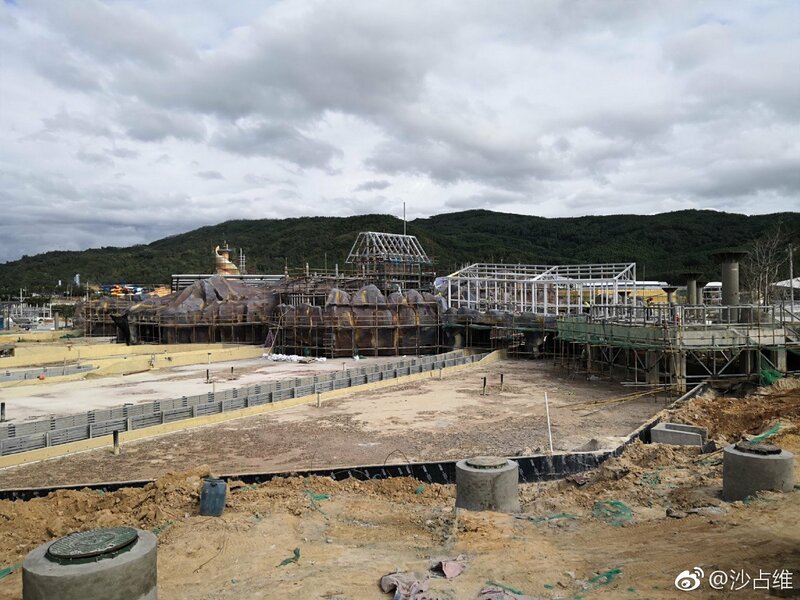 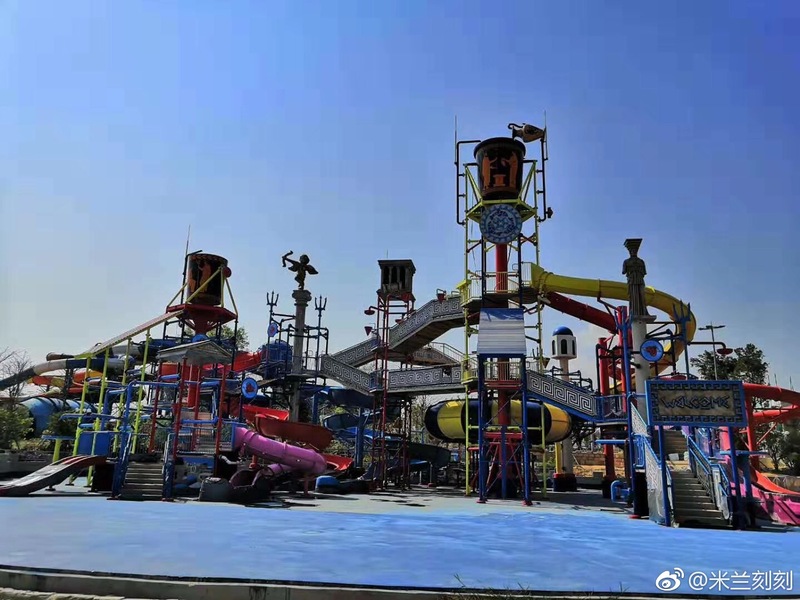 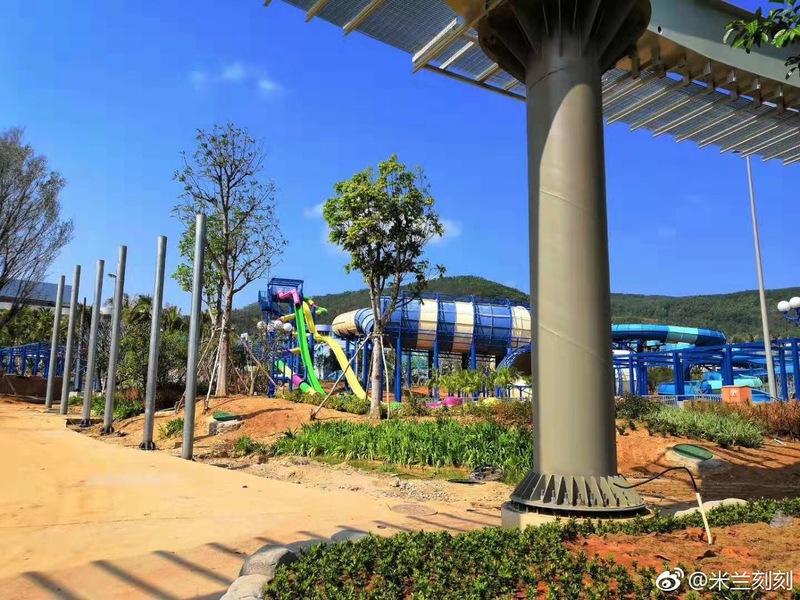 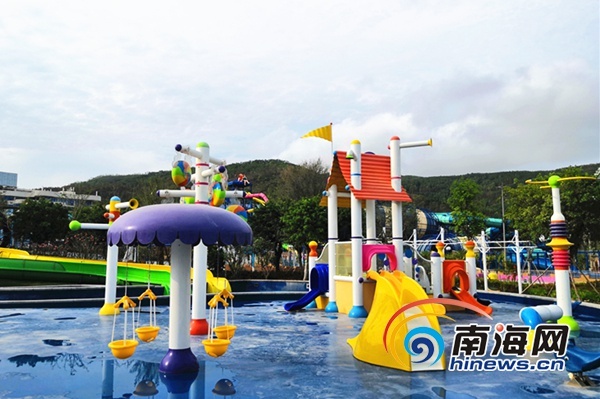 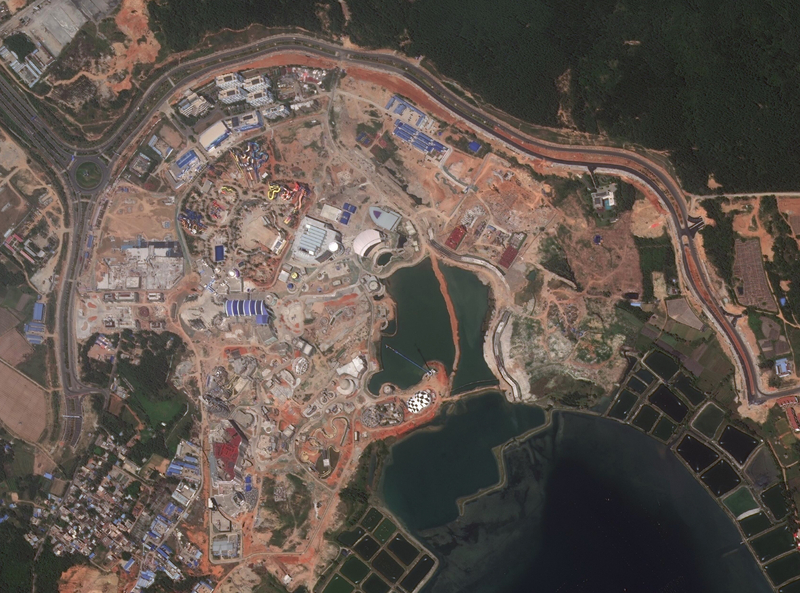 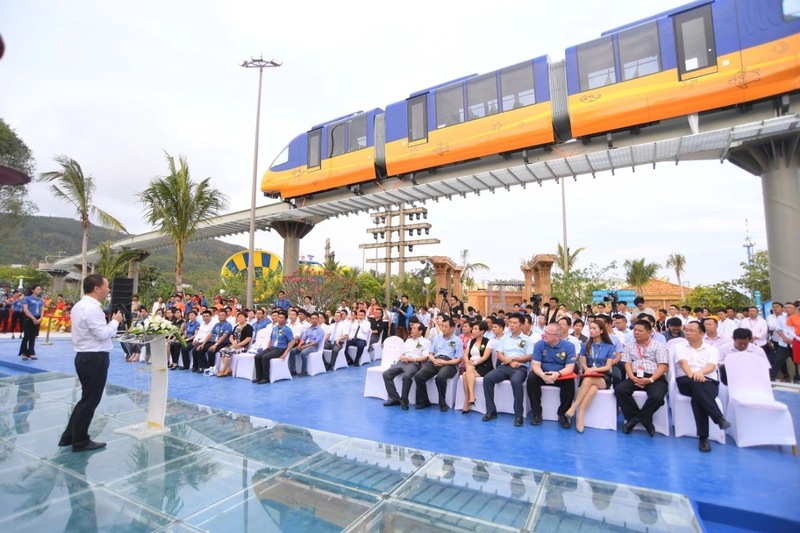 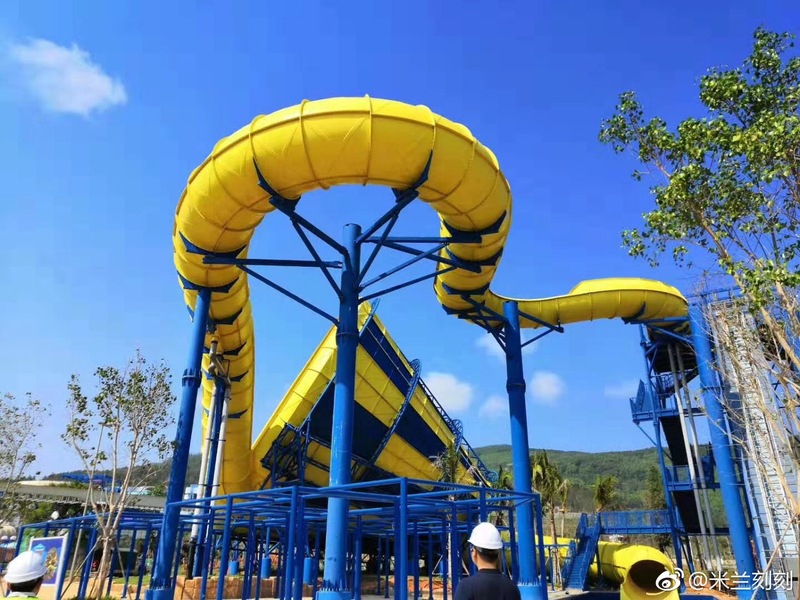 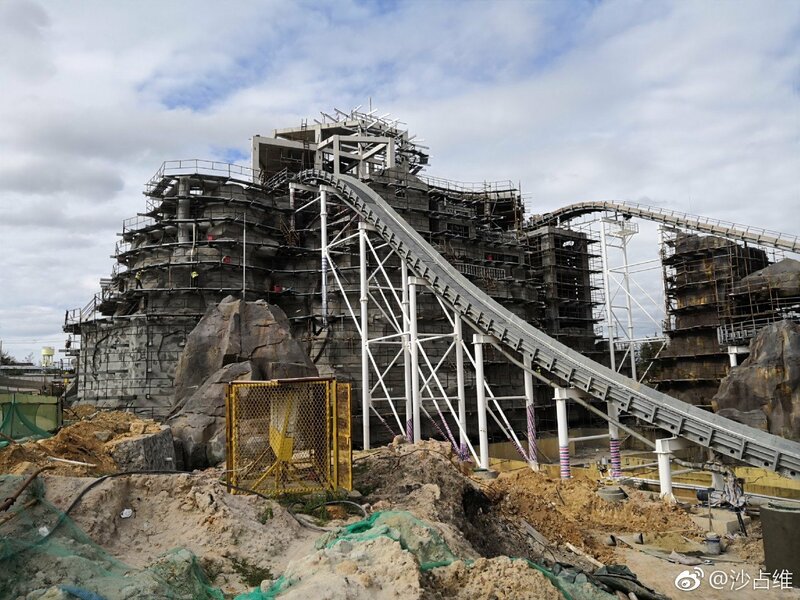 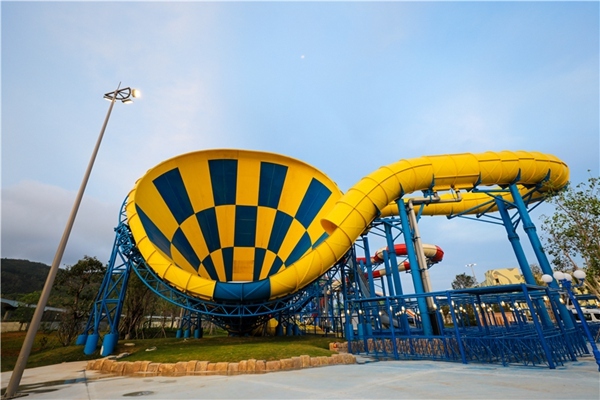 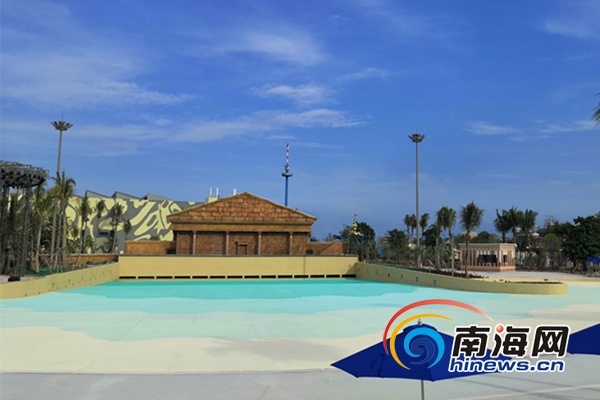 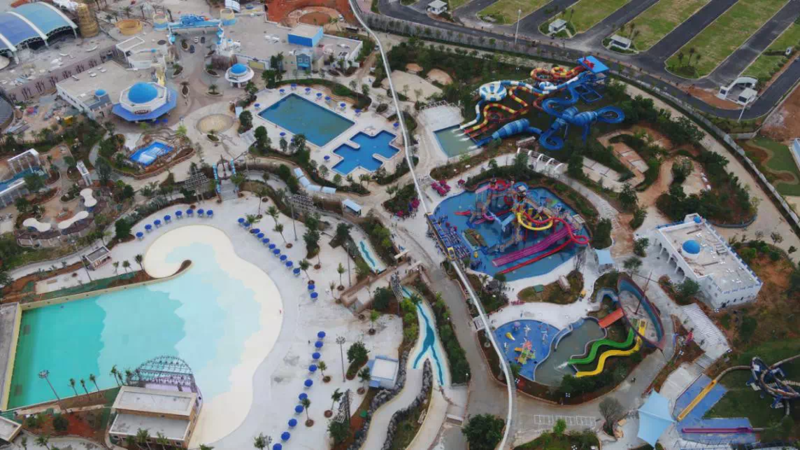 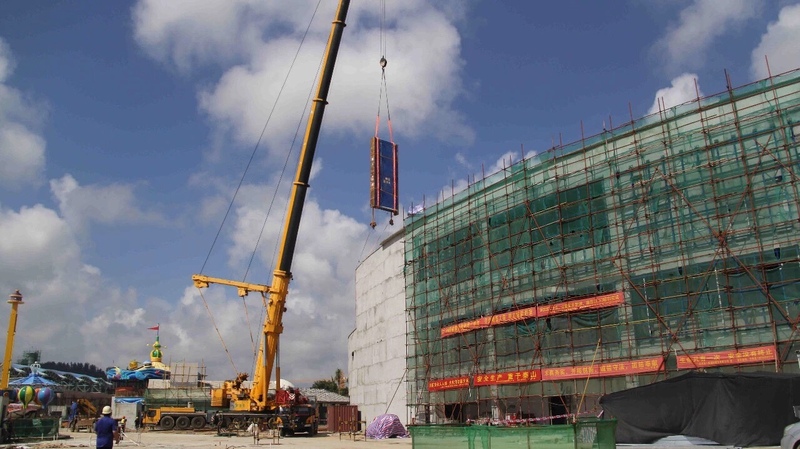 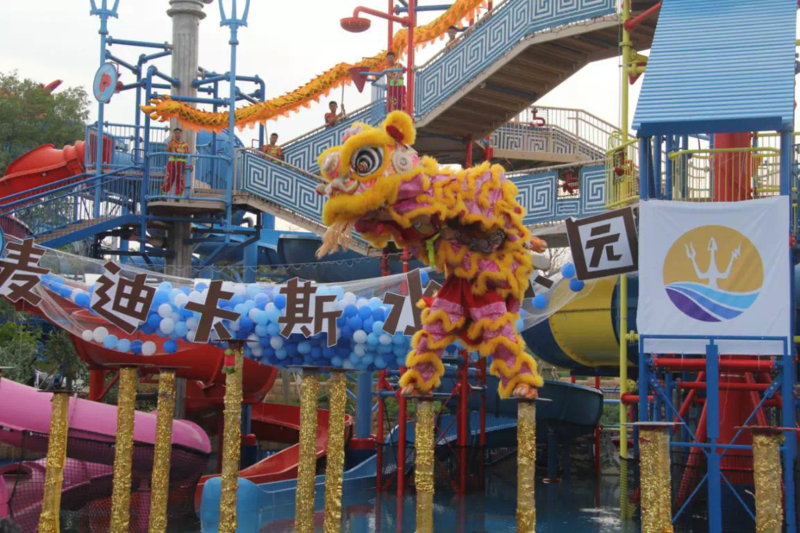 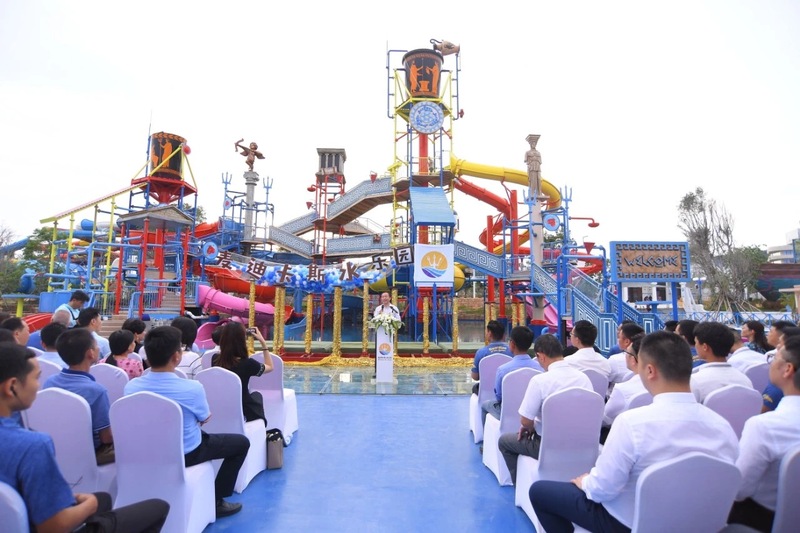 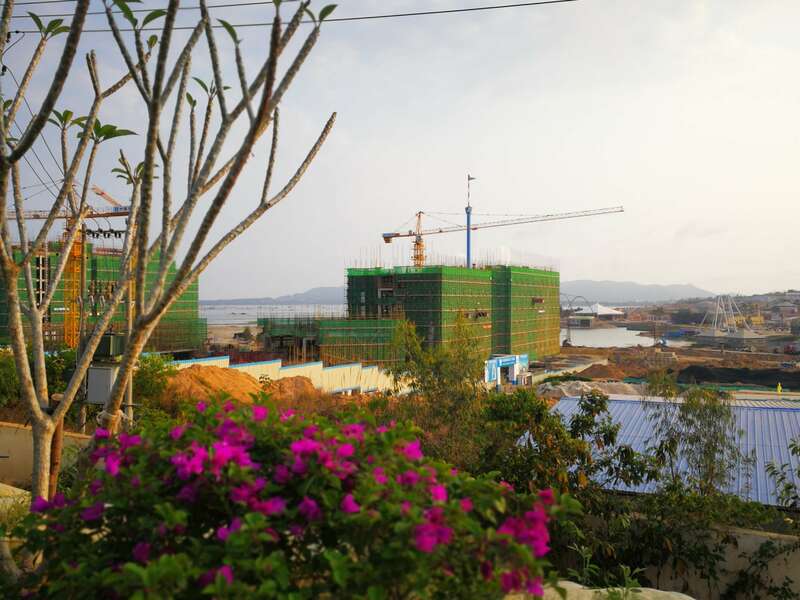 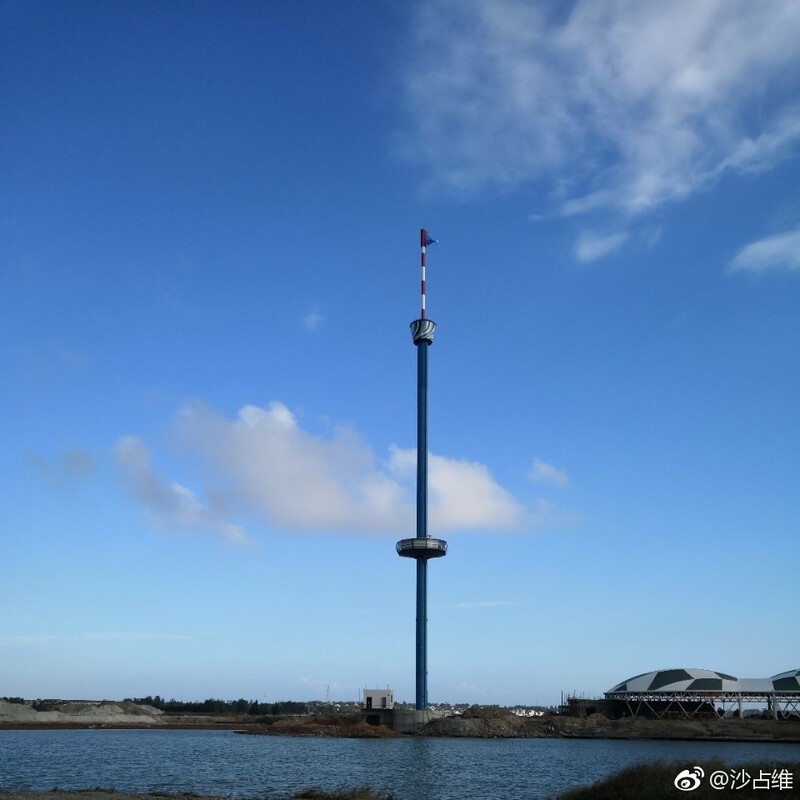 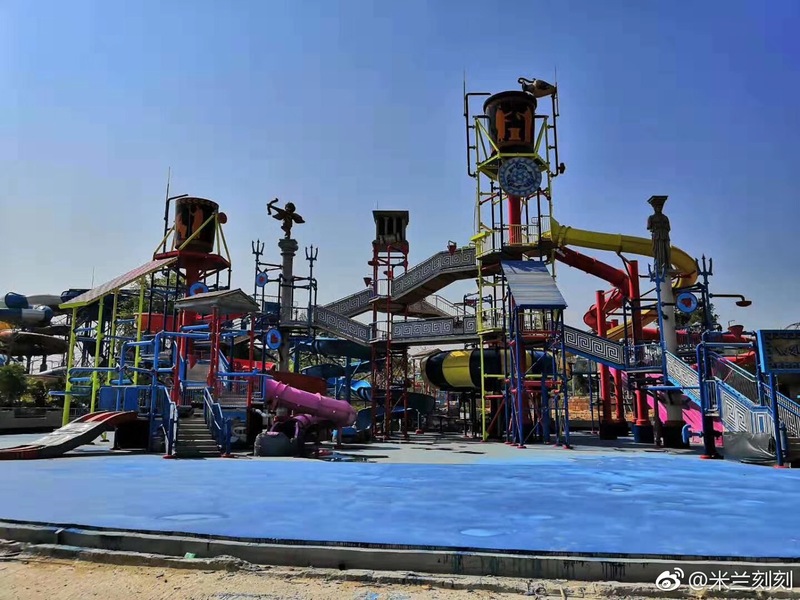 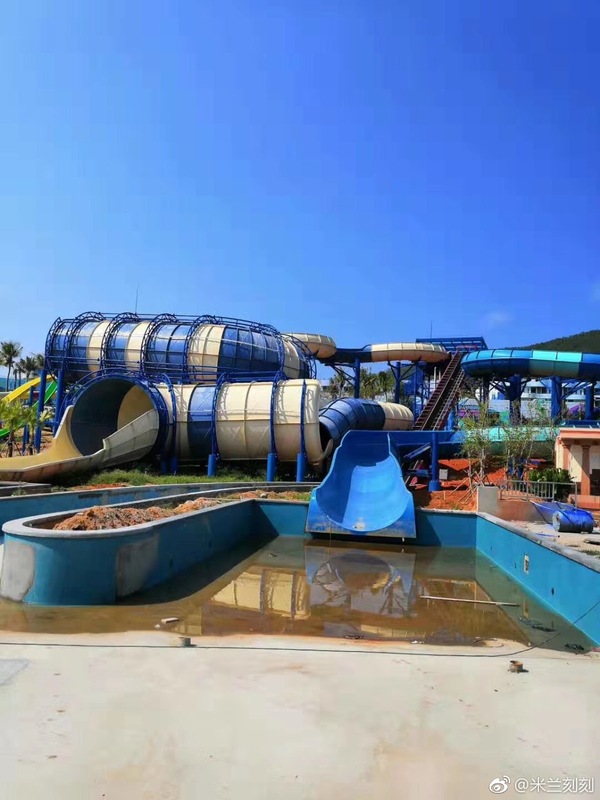 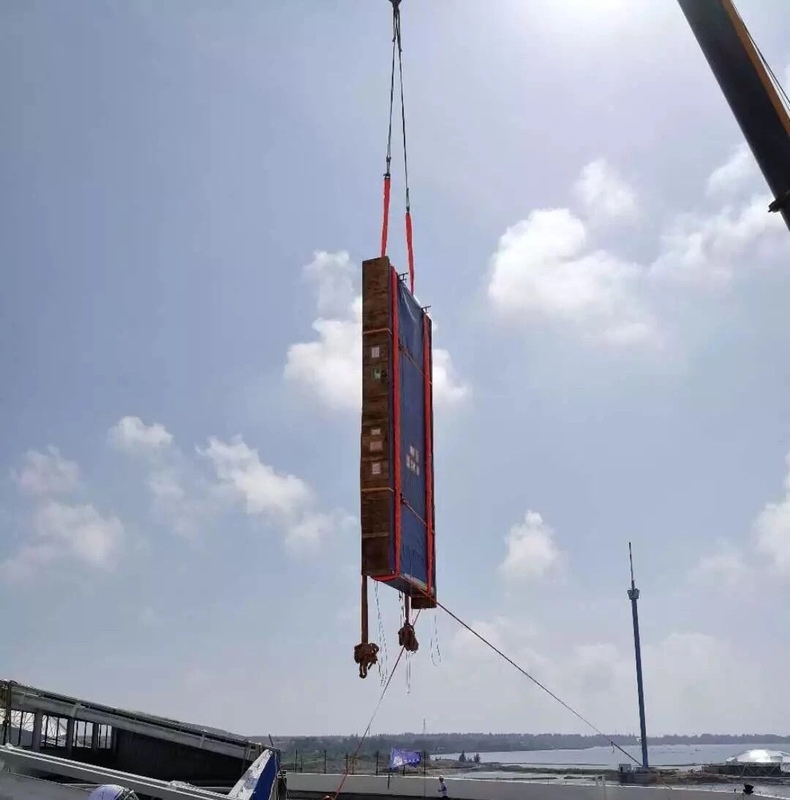 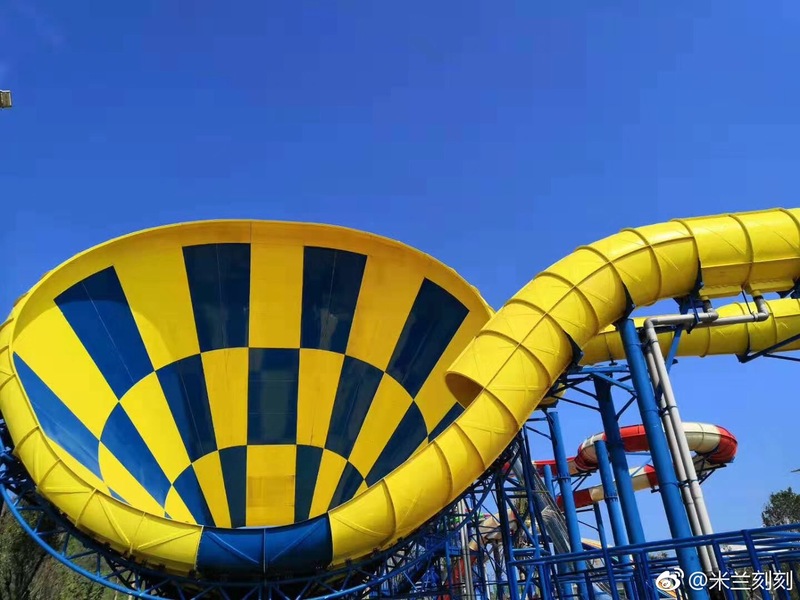 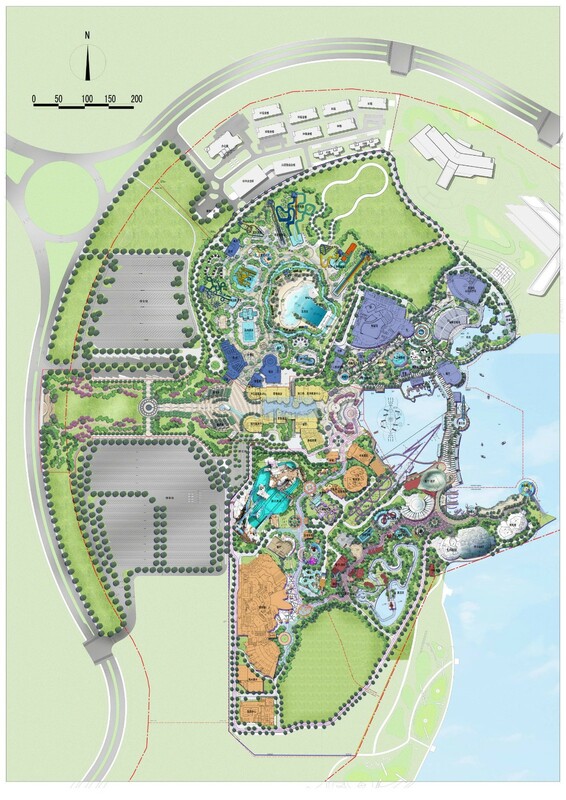 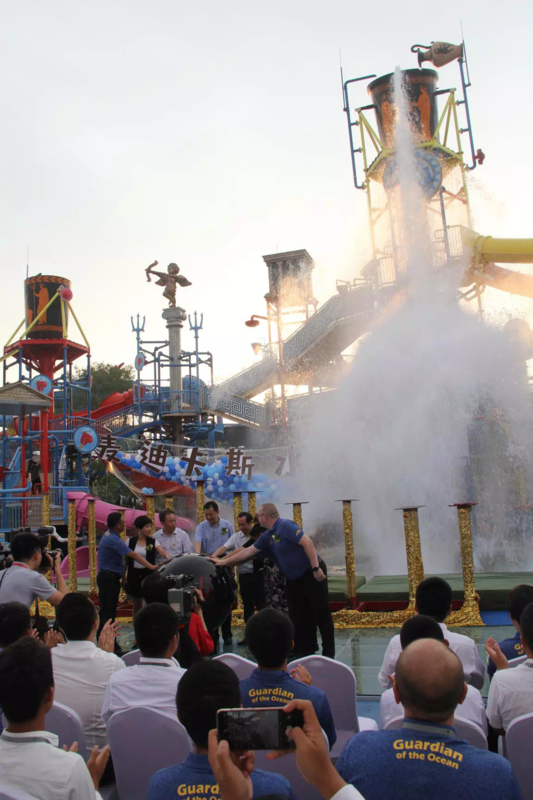 Mr. Mai Zhenghua, Secretary of Lingshui Li Autonomous County Committee, shared during a speech at the event that the waterpark's soft opening is scheduled to begin at the end of June/beginning of July. 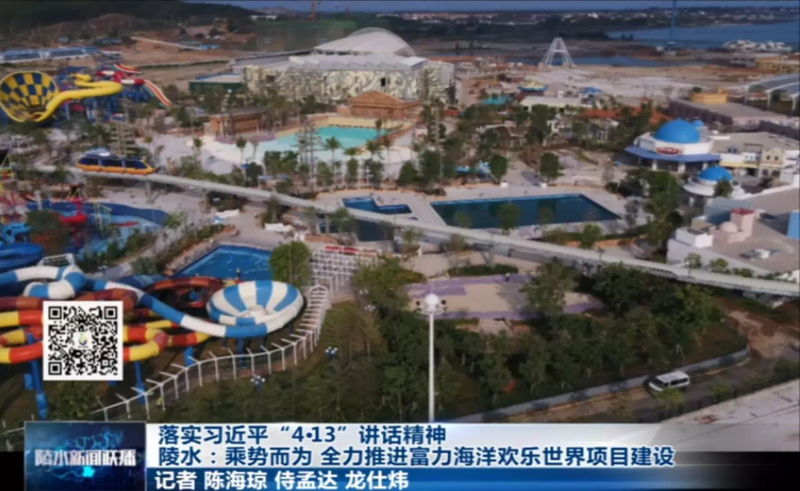 Great new local news video showing the progress mainly on the Mytikas Waterpark - towards the end of the video you can see the monorail on the track! 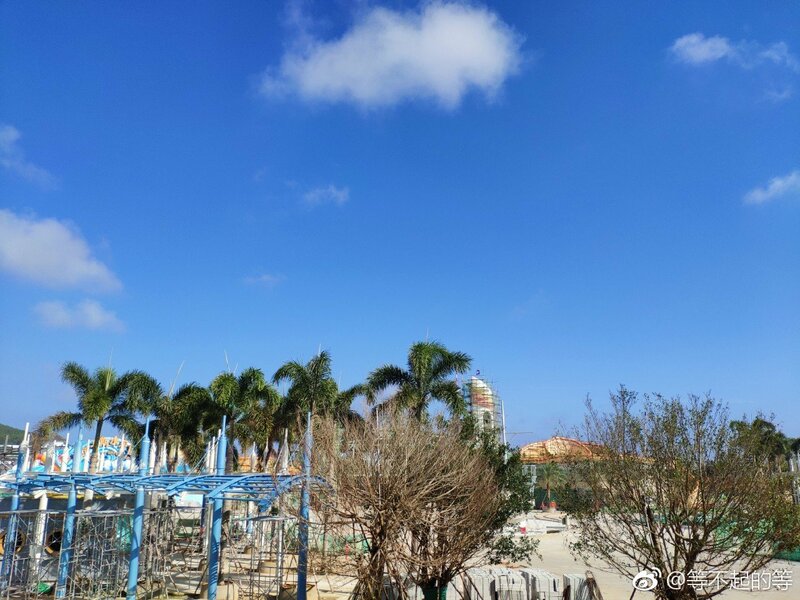 New photos from the past week! 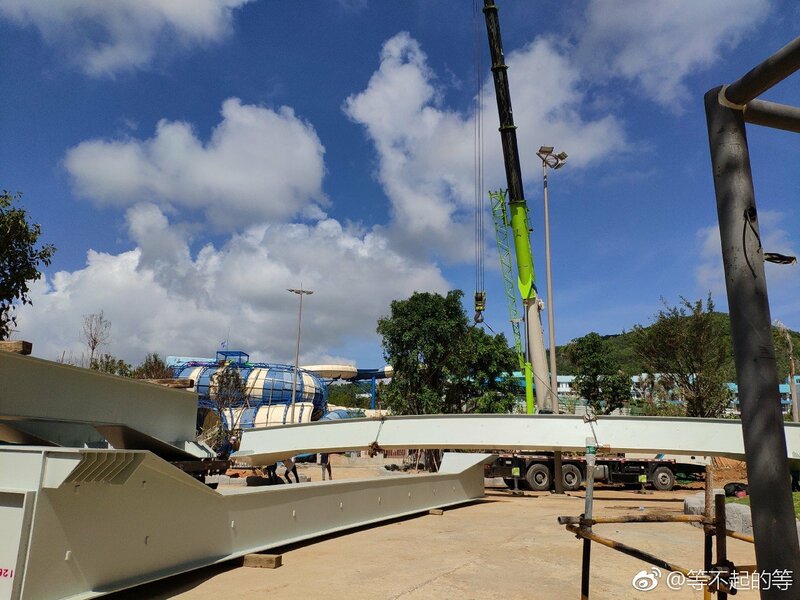 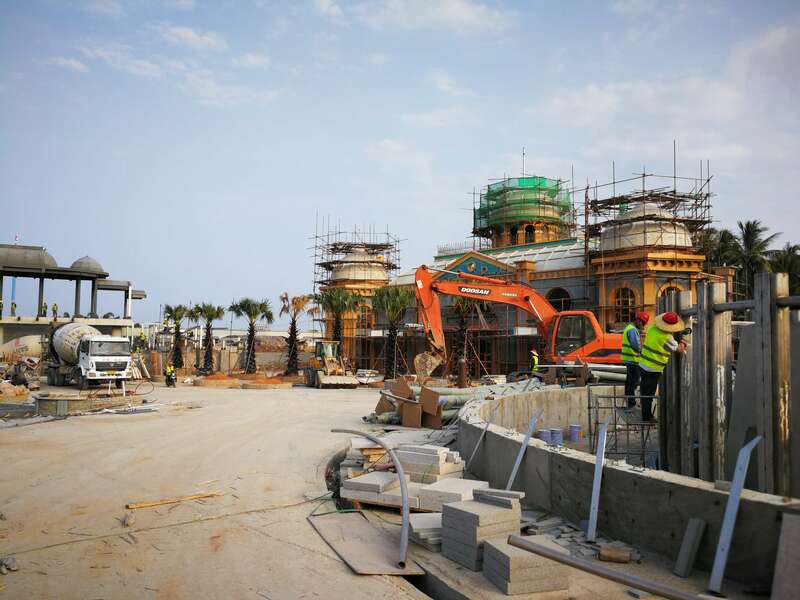 The monorail is going up very quickly - the track will go through both the park and waterpark and stations will be located inside the theme park, at the entrance, and at the hotels. 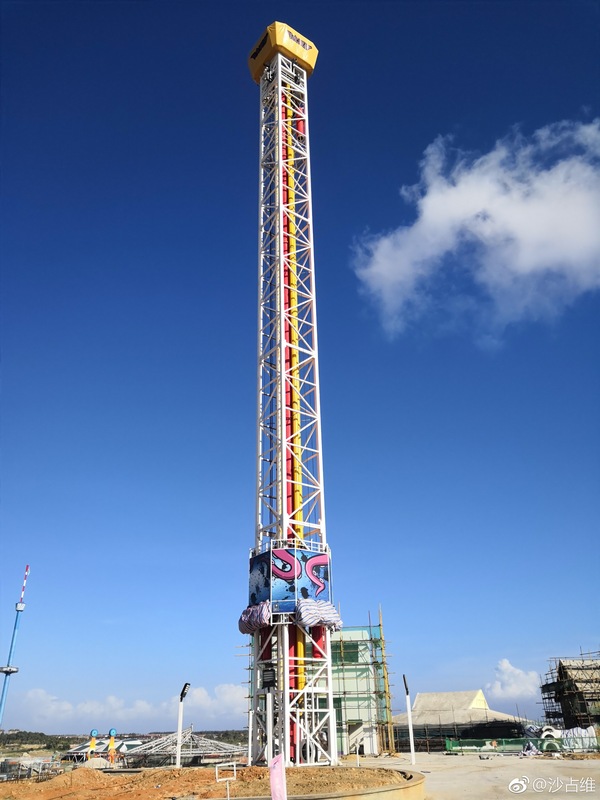 First photo of the park's drop tower! 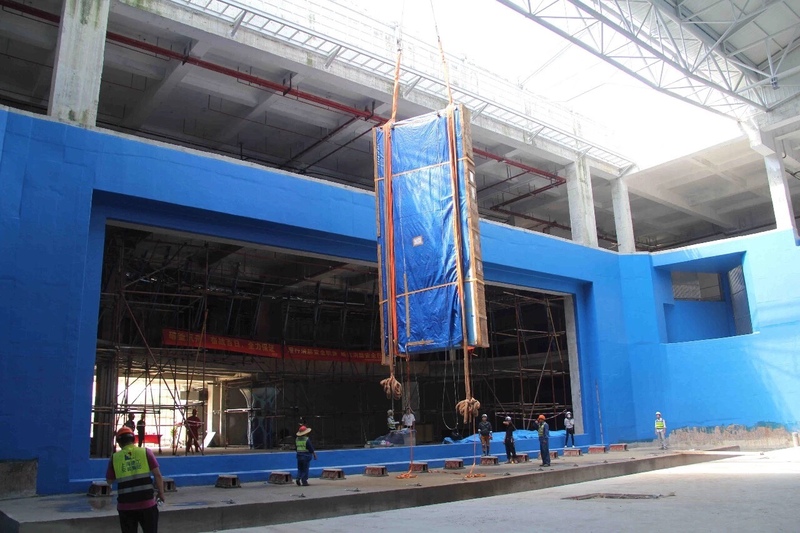 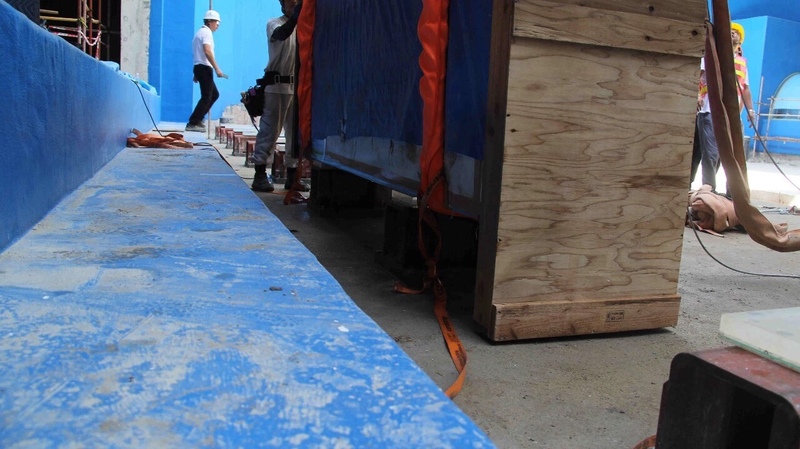 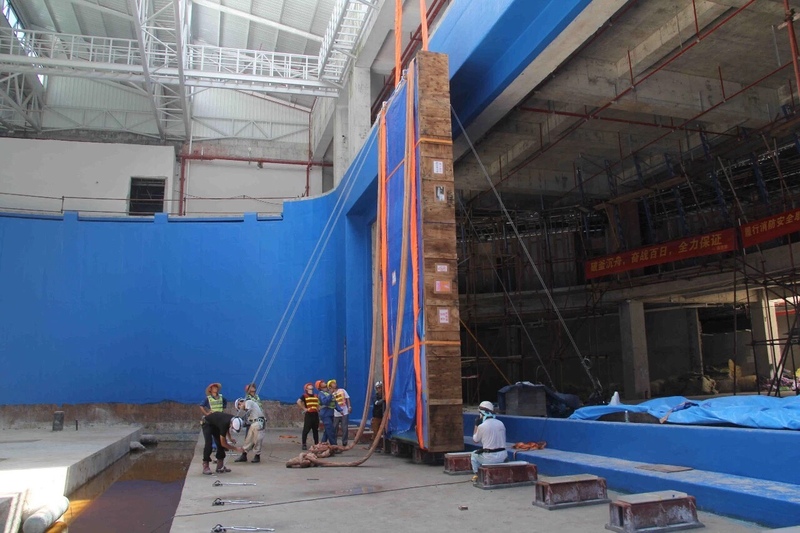 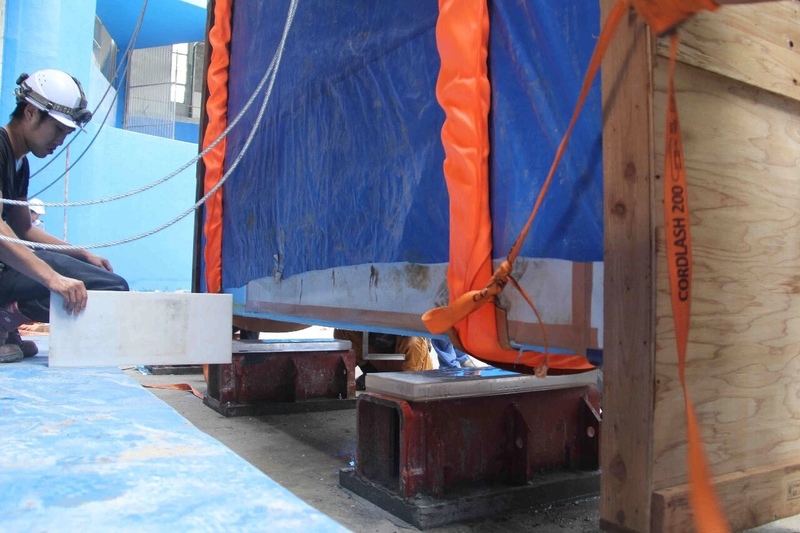 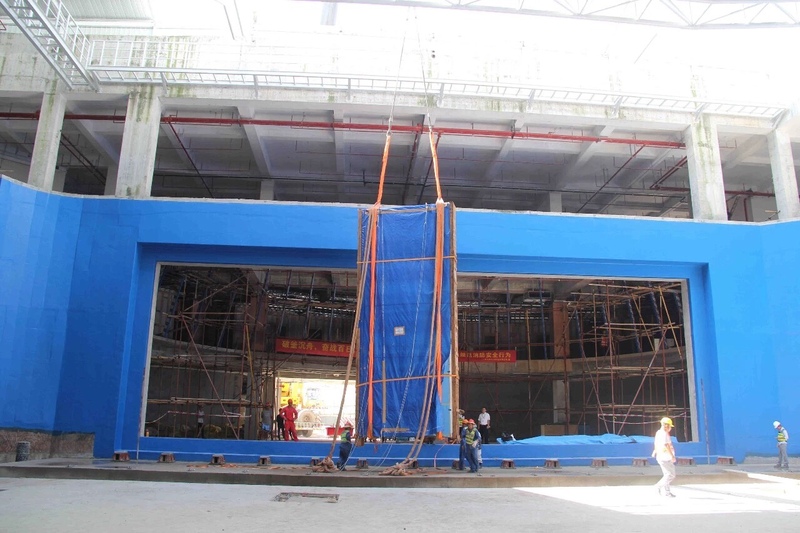 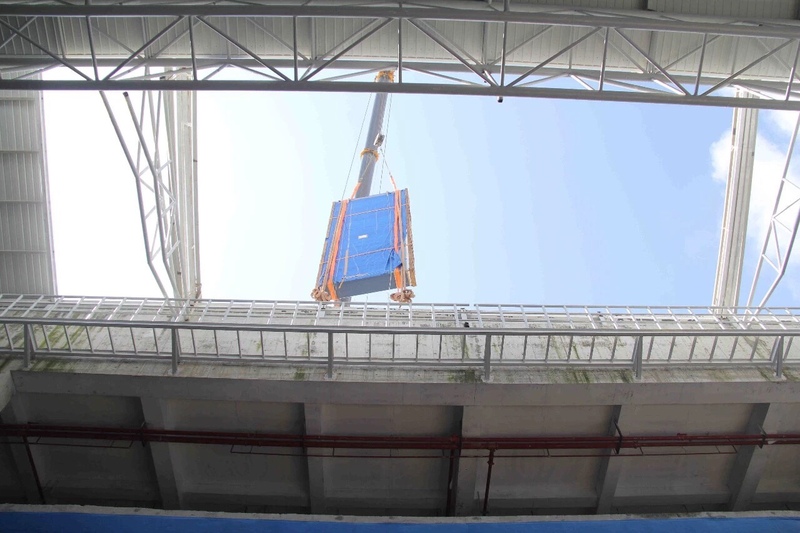 This morning the first piece of seven pieces of acrylic glass was hoisted into place at the whale shark tank. 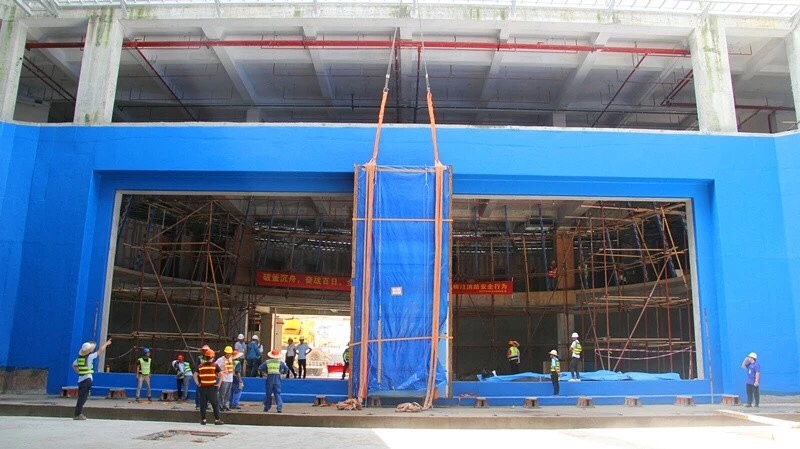 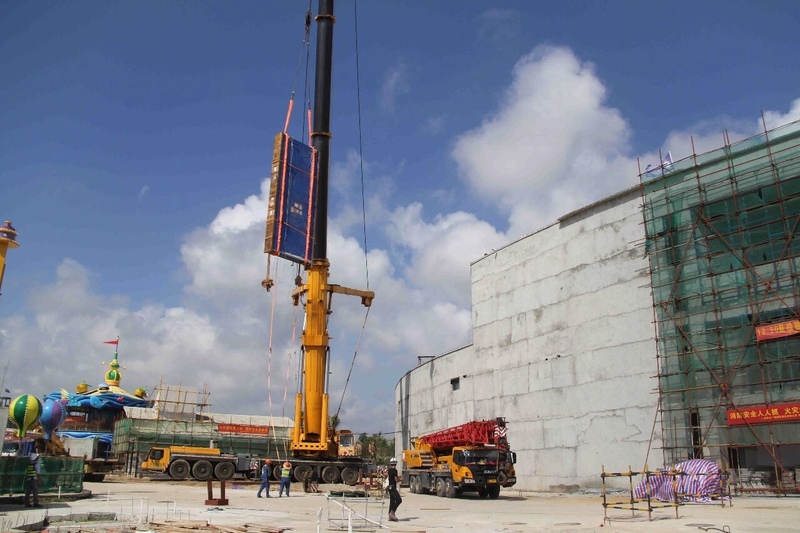 The piece of acrylic is 3.3 meters long, about 8 meters high, 65 centimeters thick and weighs 20 tons. 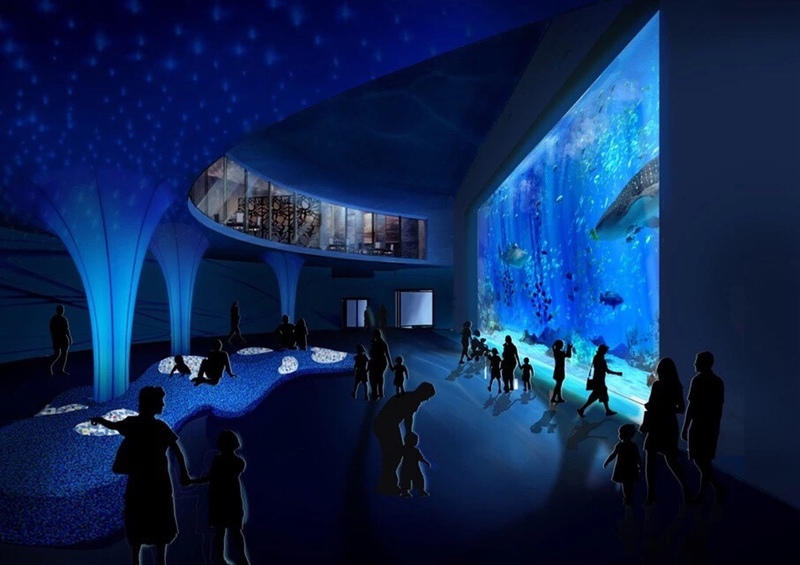 Once all seven pieces are put into place over the next three days, the underwater viewing window will have a length of about 24 meters.